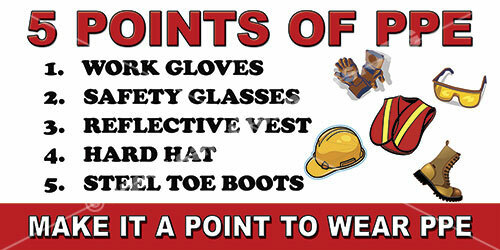 Our Safety Banners for Personal Protection Equipment / PPE are used by most of the Fortune 500 companies! 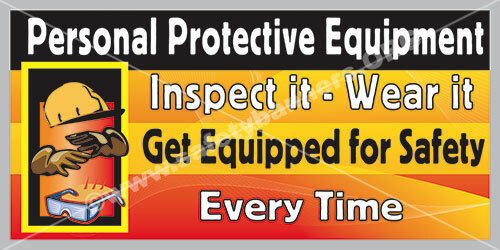 Safety Banners for Personal Protection Equipment (PPE) Use - Horizontal – Vertical – we do BOTH. SafetyBanners.Org is the ONLY safety banners manufacturer that offers PPE safety banners in BOTH Horizontal AND Vertical Format. 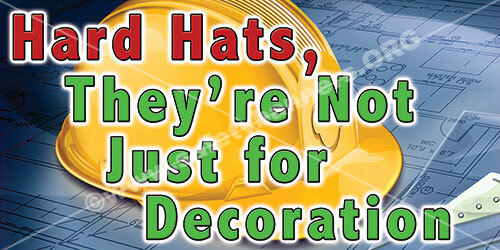 What can be done to ensure proper use of Personal Protective Equipment (PPE)?